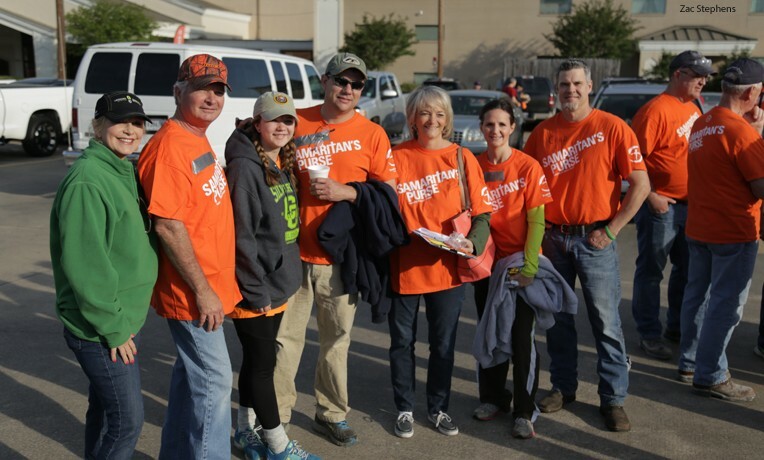 More than 125 Samaritan's Purse volunteers, many first-timers, turned out to help homeowners this weekend in Northeast Louisiana. Though most media outlets have turned their attention elsewhere, numerous communities throughout Louisiana’s Ouachita Parish remain in great need after devastating floods. The call for more volunteers continues. This is why Mark Fenn, Global Ministries Pastor at First Baptist Church of West Monroe, saw this past weekend’s “Day of Compassion” as a necessary step in a long journey for his city to get its head, and houses, above water. Staff and volunteers begin each workday in prayer. 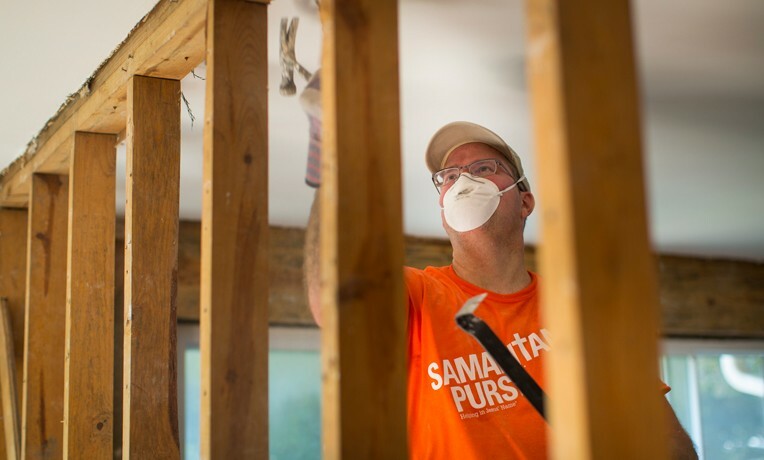 Over the weekend, 126 Samaritan’s Purse volunteers—66 first-timers—removed mud, debris, water-logged belongings, and drenched, moldy drywall. Still, about 200 work orders have yet to be addressed, and many homes are still under water and inaccessible. What some are calling a “little Katrina” all began about five weeks ago as almost 27 inches of rain overwhelmed the Ouachita River and its tributaries. Ouachita Parish, which sits amid swampland and bayou, quickly found itself in the middle of historic flooding on March 8 and 9. Volunteers hard at work over the weekend in Louisiana. Relief efforts were further complicated Saturday as levee gates inadvertently opened, reflooding some homes and raising the water level in others in the Treasure Island community of West Monroe. “I would have never thought that after five weeks you still couldn’t get into homes,” Samaritan’s Purse U.S. Disaster Relief Program Manager Bruce Poss said. Bruce said he was encouraged by the volunteer efforts of local churches who were making headway even before outside relief organizations rolled in to assist. 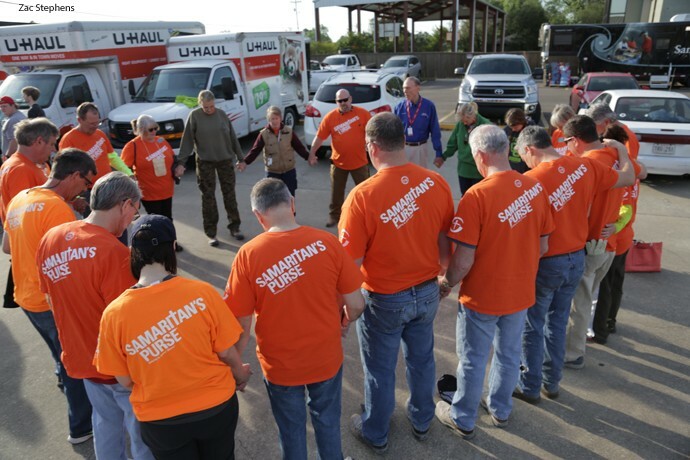 As Samaritan’s Purse volunteers served this weekend and in previous weeks, their work in Jesus’ Name caused some home owners to return to church and their faith, including one resident whose sandbagged home was the only one saved in her neighborhood. These sandbags were boated in by volunteers from local churches. Our disaster relief unit is based in West Monroe, Louisiana, at White’s Ferry Road Church. Between our two current Louisiana responses and our Orange County, Texas, response, 63 individuals have received salvation through the Lord Jesus Christ (as of April 12). 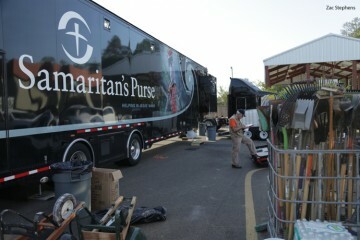 A total of more than 225 homeowners have received assistance through Samaritan’s Purse so far. Samaritan’s Purse staff are eager to see a renewed surge of volunteer groups to get the job done, a job that’s many weeks from finished. We are currently scheduled to receive volunteers through May 15 at our host church in Ouachita Parish—White’s Ferry Road Church in West Monroe.